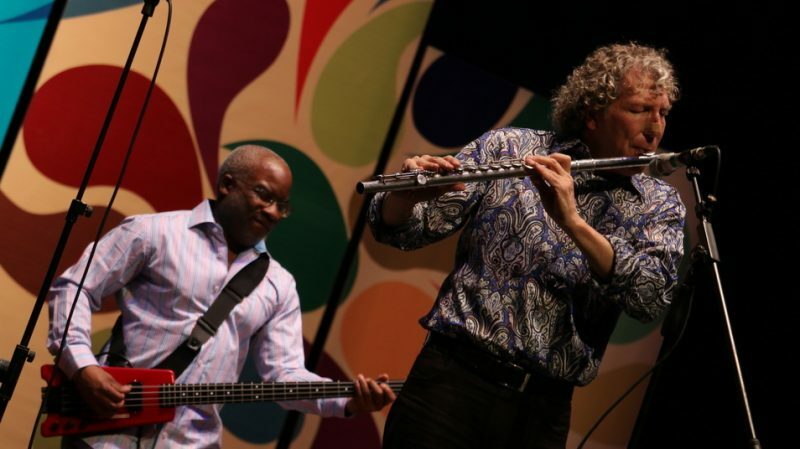 Earlier this year, Bob Belden became the first American musician in 35 years to bring a band from this country to Iran to perform. Belden passed away suddenly this week. In his honor, we are reposting this account of the historic trip he and his band ANIMATION took to Tehran.–ed. 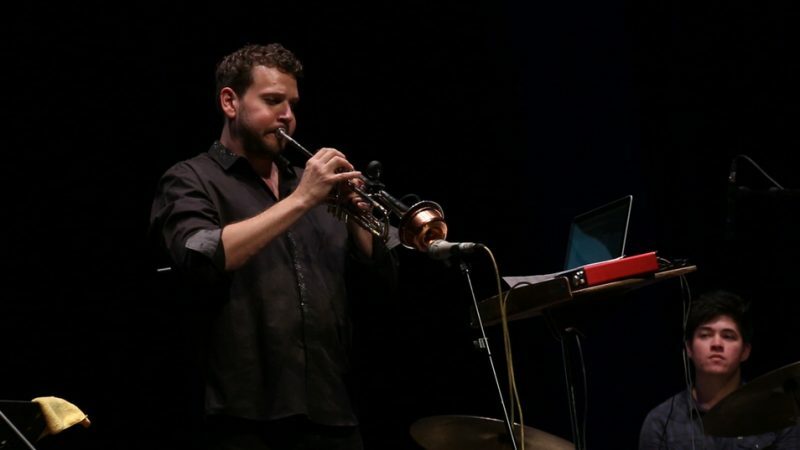 Before the New York-based multi-instrumentalist, composer and producer Bob Belden brought his band ANIMATION to Tehran, Iran, last month, it had been more than 35 years since American musicians had performed in the Middle Eastern country. 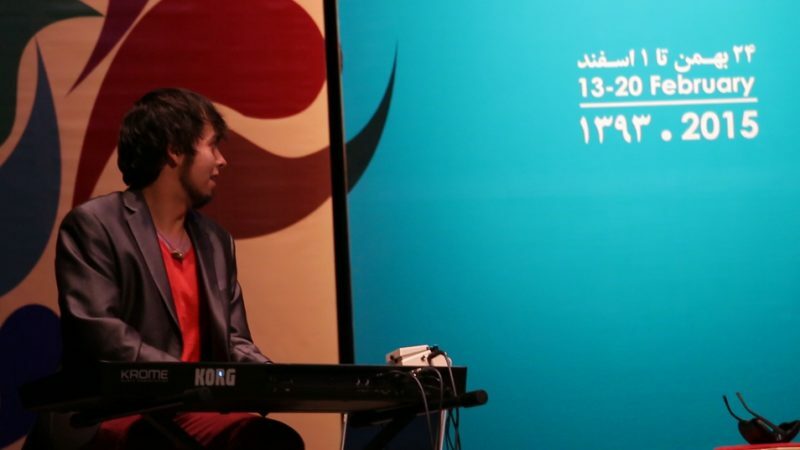 Belden and his group performed to a sold-out, ecstatic audience of appreciative fans at Tehran’s Vahdat Auditorium and also got the chance to see parts of the country and meet with local residents. Naturally, due to the strained relationship between the two countries since the Iranian revolution of 1979, putting the trip together involved more than simply buying plane tickets and going on their merry way. Here, in this Q&A, Belden discusses what transpired behind the scenes to make it happen, and the impressions he came away with. Why did you take an American jazz band to Iran to perform? Bob Belden: Since meaningful work in the jazz field is getting harder to come by, when the opportunity to perform in Iran was in the air I knew that this was something special and important. It was not just performing in Iran. It was performing at the FAJR International Music Festival, one of the largest in the Middle East. As we can’t get anyone in jazz clubs or jazz festivals or master classes in the U.S. to employ us, it became quite clear that getting a gig in Iran was not only much easier but we did not have to experience the loss of civil and human rights associated with obtaining gainful employment in the U.S. jazz business. I was also happy that the festival organizers based their decision to have my band ANIMATION play in Iran not on American corporate jazz nostalgia or some unspoken celebrity caste system, but of individual accomplishment and a strong desire to make good on my word. To be true to your word is rare enough in the jazz business but when it comes to dealing with an individual and an entire cultural apparatus in a foreign country, your word is not only your bond but it’s a defining element of your character. BB: What we hoped to accomplish we did accomplish. We made the trip, we traveled inside the country, a documentary film will emerge from this trip and we recorded a live CD in Tehran, paid for in part by the government of Iran. And the Ministry of Culture and Guidance wants us to return to Iran. The CD/LP/mp3 package from the live concert in Tehran is scheduled to be released in the U.S. in late June and in Iran in early fall. This will be the first co-production between a U.S./U.K. record company (Giacomo Bruzzo at Rare Noise Records) and an Iranian record company (Ramin Sadighi at Hermes Records) ever. How did you plan and execute the trip, especially without State Department assistance? BB: Private citizens from the U.S. can travel most anywhere in the world if you get permissions and signatories (sponsors) from the country you are traveling to. There were about 20 people involved in the process excluding the musicians. As the U.S. and Iran do not have formal diplomatic communications the Department of State had nothing to do with this in an upfront way. But we were very careful to sculpt our production in accordance to the traditional values set forth in previous State Department cultural outreach programs, and especially stayed close to the mission of International Jazz Day. Our trip is a manifestation of Herbie Hancock’s dream of music bringing cultures together in peace. 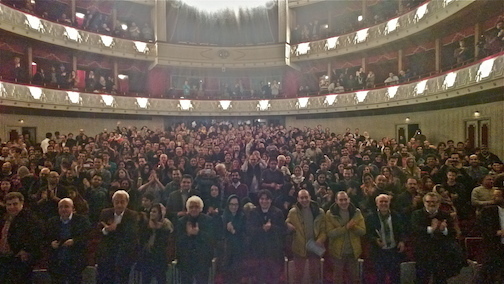 It took 18 months from the initial contact from Iran (August 5, 2013) to the gig at Vahdat Hall (February 18, 2015). This project was funded and managed by the NGO Search for Common Ground (SFGC), the International Society for Iranian Culture, the Iranian Ministry of Culture and Guidance and the NGO the Alliance for Peace Building (Alliance for Peace Building). Through those various organizations we were able to get our visas approved in one day, all expenses paid within Iran. The government of Iran provided us with a “road manager” by the name of Mr. Farzin Pirouzpay, of whom all I can say is that he is very important within the government of Iran. And we had a fantastic tour guide named Mehdi Afrach, who painted the history of Iran in colorful words as we visited historical sites in Tehran, Kashan and Isfahan. Who organized it and why your band ANIMATION in particular? BB: It was a team that organized this trip. Including myself, the groundwork and planning was in partnership with John Marks and Katherine Bova of Search for Common Ground as well as Foad Faridzadeh of Dream Riders Pictures (Dream Riders Pictures) and Mehdi Faridzadeh of the International Society for Iranian Culture (Society for Iranian Culture), and inside Iran from the Deputy Ministers of Culture and Guidance (Mr. Ali Torabi and Mr. Farzin Pirouzpay). 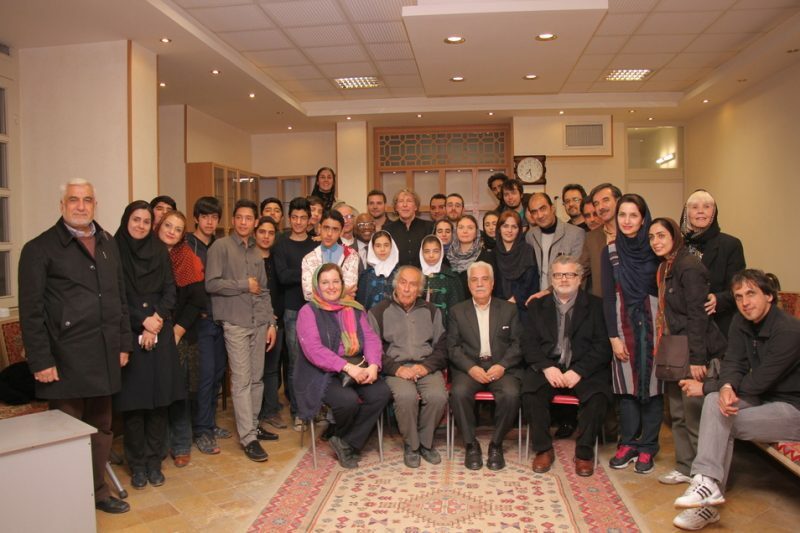 I had made inroads via a personal connection with Dr. Mohammad Reza Azadehfar of the University of the Arts in Tehran as well as Ramin Sadighi of Hermes Records in Tehran; they provided continual encouragement for us to travel in Iran. Katherine Bova at Search for Common Ground put us in contact with Foad Faridzadeh about having a jazz group perform at the FAJR Festival and from there we just followed their advice and instructions. John Marks pledged travel money from Search for Common Ground and that was a big part of our expense in getting to and from Iran. Why us? Who else would even try something like this that, you know? Who else would have had the courage to stay with this over the time that it took to make it happen? 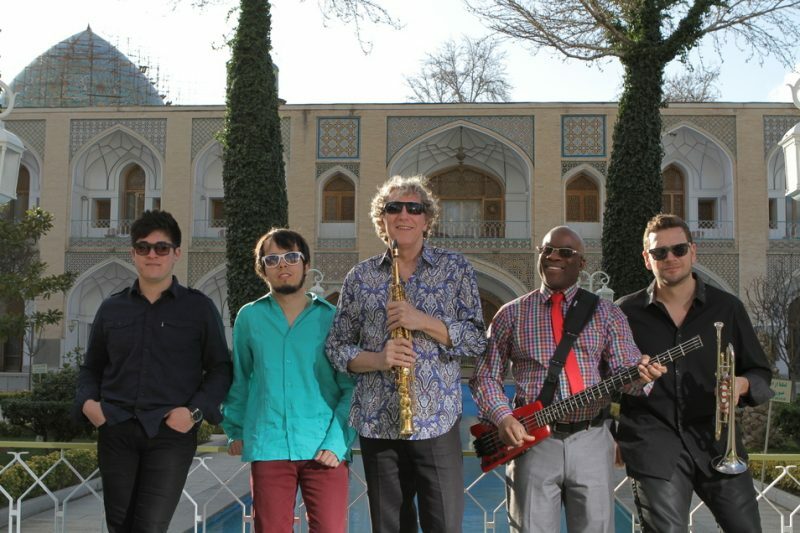 I have made large cultural recordings in the last few years such as Miles From India, Miles Espanol and The 12 Girls Band Live in Shanghai, so taking my band to Iran was an acceptable challenge in light of the lack of such challenges within the U.S. and European jazz festival or academic landscape. We wanted to go as one must understand the limited depth of performance opportunities for jazz musicians now, partly due to overcrowding, a weak social/cultural education system and a performance programming that lacks imagination (especially this generation of younger jazz musicians). Those in Iran knew we wanted to be there so they actually helped us in every way. Search for Common Ground was exceptionally helpful as they did not impose the usual celebrity threshold that would have eliminated us from any consideration if we had been under the “guidance” of an established U.S. cultural or academic institution. If you express a strong desire to realize a noble goal that is not fraught with ego and selfishness then it’s easier to get understanding from non-music industry entities outside the Western world. BB: We never met nor saw any American officials and the Iranian officials we met and worked with were fantastic; a beautiful sense of humor, visionary, erudite and very open about our music. No challenges at any point during our stay in Iran. None! Smooth sailing from day one till we left on day nine, excepting some logistical issues beyond our control (huge traffic jams and the lingering effects of jet lag). Actually the only real challenge we had was eating all of the food that was laid out before us for breakfast, lunch and dinner. The city of Isfahan gave us credit to purchase gifts to take back home. How would you describe ANIMATION? BB: The sound that ANIMATION gets is essentially synthetic orchestrations over beats and grooves with minimal harmony and minimal melodic exposition. We deal in fragments and sound patterns and open improvisations. It’s pretty intense music and very cinematic. The current version of ANIMATION has been together since 2011 and includes Pete Clagett on trumpet and electric trumpet, Roberto Verastegui on synthesizer, Matt Young on drums and joining us on bass was Jair-Rohm Parker Wells. I play soprano sax and alto flute. With the exception of Mr. Wells, all of us are graduates of the University of North Texas. In fact, Matt Young, our drummer, is a senior at the school. These musicians that came over to Iran with ANIMATION are very special. They understand the world that surrounds them in ways that are not normally associated with jazz musicians; they not only have been given a lot of opportunities to travel with ANIMATION but they also get a deep knowledge of the jazz business. This is what I can explain as well as anyone. They were excited about the trip from the first mention of the idea of traveling to Iran. Just to get the visas, flights and make the connections so we could fly together as a band into the Ayatollah Khomeini Airport on Friday morning at 2 a.m. became dramatic and suspenseful. They all hung in to the last minute and this made the trip worth the effort. There is nothing better for a jazz musician to be on the road with your own band! And to be in Iran was surreal, to say the least. BB: We had three gigs, only one with ANIMATION. The first “gig” was at a private school in Isfahan where young kids (ages 6-14) learn classical Iranian music. We listened to them perform and then jammed with them at the end of the informal concert. The second gig was only myself and Pete Clagett on trumpet and we performed at the Azadi Sports Complex in Tehran during the World Greco-Roman Championships. What was significant about that gig was the group we played with: eight Iranian musicians including three women in the group. We performed the traditional Iranian national anthem (“Ey Iran”), but what made this moment special was the inclusion of women at a sporting event in a Muslim country. Never happened before. Our final gig, the gig that was our purpose for being in Iran, was held at the old Tehran Opera House now named Vahdat Hall. A classical opera house by German design, the acoustics and the sound system were perfect. The stage crew was first-rate all the way. Great gear and a fantastic Iranian-American engineer, Hamidreza Maleki, recorded the event. You’ve been invited to go back and tour other parts of the country outside of Tehran. Now that it’s public knowledge that you’ve gone there already, do you anticipate new challenges in doing a more extensive trip? BB: We were invited back two minutes after we finished our gig at Vahdat Hall. At this moment we are all sending to Iran our summations of the trip and outlining the details of a return trip. Any new trip would be easier as we are used to the travel situation in Iran. We would like to visit Shiraz and Bandar-Abbas as well as perform more concerts in Tehran and Isfahan. We would also like to perform at the universities as well as perform and record with Iranian musicians. Tehran has many great recording studios so we would be at home making a CD in Iran. BB: Perception is easy to create. Misperception is hard to break. In the U.S., for the most part since the Iranian Revolution, Iran has been subjected to a political and cultural analysis that is always shone in a negative light. It was as if thousands of years of history were negated to a footnote and the only history we intend to maintain in the U.S. is from 1979 onwards. This myopic view is not based on logic but composed of a systemic ignorance of global culture. That is enabled by a weak education system in the U.S. and intense partisan calibrations meant to maintain a dark cloak of intrigue about Iran by people or entities that have agendas not expressed in their public statements. But a country is also made up of people, actual human beings, and this is what is most important for American citizens to understand. At the human level Iranians are the same as Americans. They eat food, they drink water, they have children and send them to schools. The parents fret over their kids just as parents here. People work for a living, they go to the movies, watch TV, ride the subways or buses to get to and from work. Young women scream at rock concerts for their favorite band. The traffic is similar to Los Angeles. English is spoken openly and quite well. Street signs are in Farsi and English. Magazines are in English and there are English newspapers. They have their own Burger Kings (called King Burger! ), KFCs and pizza joints mixed with traditional Iranian food. And we ate at a truck stop that was emblazoned with the words FAST FOOD. For jazz musicians the words Truck Stop and Fast Food make you homesick!! What would you like to see come of this? BB: The U.S. and Iran restoring diplomatic, cultural and commercial relations, and that the young generation of Iranians will have an economic chance that has been denied them due to the inhuman sanctions imposed upon innocent people. Imagine being young and not having any chance to build a business, to purchase a car or a house. You are essentially in debt before you even enter the race. Of course I am also talking about the young people in the U.S. who have similar “sanctions” imposed upon them via student debt, lackluster working opportunities and, even with those opportunities, rarely a chance to succeed as in past generations. I have spoken to many jazz musicians who expressed a desire to travel to Iran and now are more excited as we returned with such good news and feelings. And of course we look forward to the return trip to Iran to promote our CD recorded in Iran!! We will invite everyone to our CD release party in Tehran (airfare not included)!